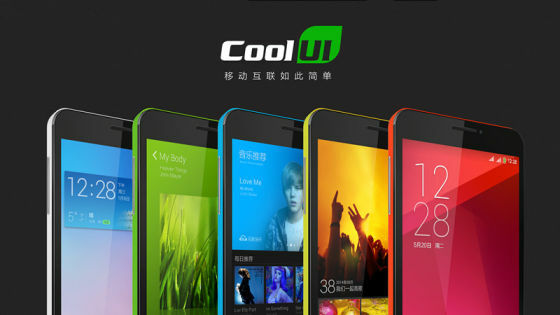 Coolpad, a Chinese smartphone maker, announced today Dashen (literally means “the great god” in Chinese), a smartphone brand run by the company, will be operated independently. At the press conference, the company released five hardware products under the brand, including the much-anticipated Dashen F2, Dashen F1 (China Telecom version), Dashen F1 (Youth version), a mobile charger and a 3D AR helmet. Dashen F2 is positioned as a 4G smartphone for the youth. It supports LTE+GSM dual-card and dual-standby mode and is configured with 2GB memory and 16GB flash memory plus 32GB micro SD card expansion. Powered by an octa-core MT6592 processor clocked at 1.7GHz, Dashen F2 features Mali-450MP4 GPU (700MHz), 1280×720 resolutions and 5.5-inch screen. The camera is 5-megapixel on the front and 13-megapixel on the rear. In addition to the marketing channels directly under Coolpad, the smartphone is open for pre-order at several other platforms like QQ Zone, JD, WeChat, Mobile QQ and China Mobile 10085. The product will be shipped on Sept. 2. Dashen F2 is priced at 999 yuan, slightly higher than 888 yuan (US$143) for Dashen F1, the first generation smartphone of this brand released earlier this year which brought down octa-core smart phone prices to a new low. As competition in Chinese smartphone industry went nuclear, major players in the battlefield, like Xiaomi, Huawei, Lenovo are vying to offer low-budget smartphones with increasingly rich features. As smart wearable becomes a hot spot in China, Coolpad released last year CWatch, a smartwatch designed by a startup incubated by the Media Lab of Hunan University.